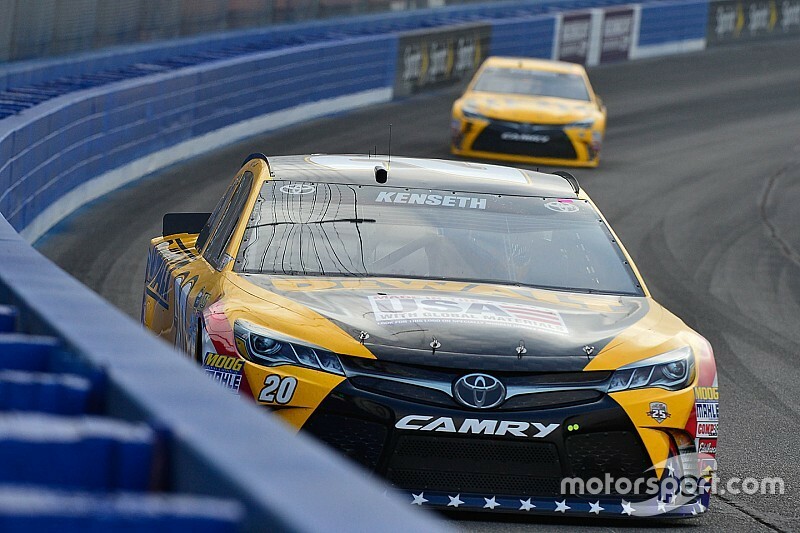 Matt Kenseth picked up the pace considerably in Happy Hour at Auto Club Speedway on Saturday. Carl Edwards dropped to second-quick in final practice with a lap of 185.347 mph, 0.015-seconds slower than Kenseth’s top lap. Rookie Ryan Blaney was third fastest (185.161 mph) in single lap runs followed by Joey Logano (185.099 mph) and Aric Almirola (185.071 mph), who sustained cosmetic damage in the second practice but recovered nicely. Polesitter Austin Dillon was sixth (184.952 mph) quick with Martin Truex Jr., Jamie McMurray, Kasey Kahne and Ryan Newman rounding out the top 10 in single lap runs. Truex also topped competitors in the Best 10 Consecutive Lap Average categories with a speed of 180.723 mph. 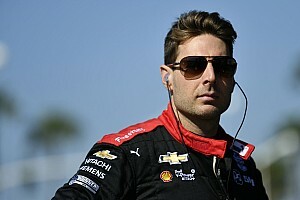 Dillon (180.710 mph), Edwards (180.427 mph), Kevin Harvick (180.257 mph) and Ricky Stenhouse Jr. (180.102 mph) completed the top-five drivers on long runs. Happy Hour was anything but for Greg Biffle and Kyle Larson. With less than 30 minutes remaining in the session, Larson slowed considerably after tapping the Turn 4 wall, and Biffle slammed into the back of the No. 42 Chevy. For Biffle, it was just wrong place, wrong time. “We were on new tires,” Biffle said. “That was our second lap and the 42 was on old tires, so our closure rate was super-fast. I was kind of looking at my mark on the wall and on the race track and he wrecked in front of me and I just couldn’t get stopped. There wasn’t anywhere for me to go. At the time of this report, neither team had decided whether back up cars were in order. Kurt Busch, who went to a back up car following an accident in second practice, was 24th fastest in single car runs (183.299 mph), 18th in Best 10 Consecutive Lap Average (178.950 mph).